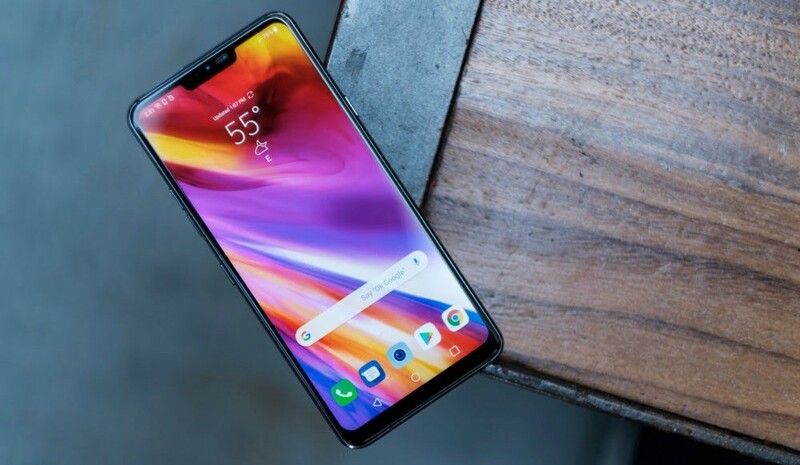 Alright guys, a few days ago, the LG G7 ThinQ smart phone was officially announced, and as it is with every flagship smart phone of 2018, it is already taking its own turn to make wave, and is now a major trending topic on the internet, and will probably remain a major topic for a couple of months to come. 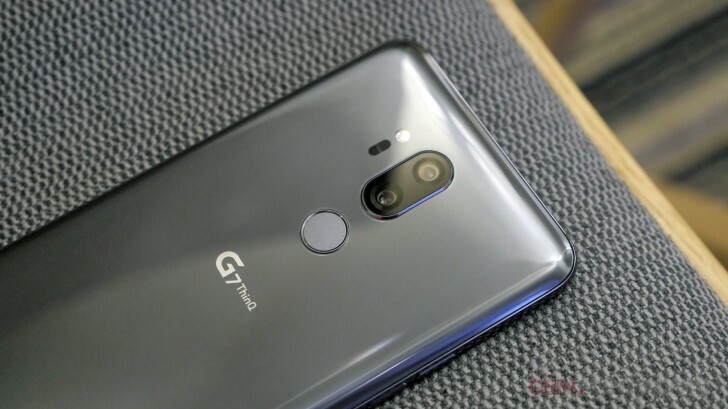 So for those who are already having speculations as to whether to switch to the G7 ThinQ, or probably stick a little bit more longer with their current smart phones, well, worry no more, cause today, we bring you the top ten notable changes and features of the LG G7 ThinQ, and why it is different from the rest of other smart phones out there. Yea forgive me on this one, because we all know that notches on smart phones nowadays, are no longer considered a unique, new or distinguishing feature. 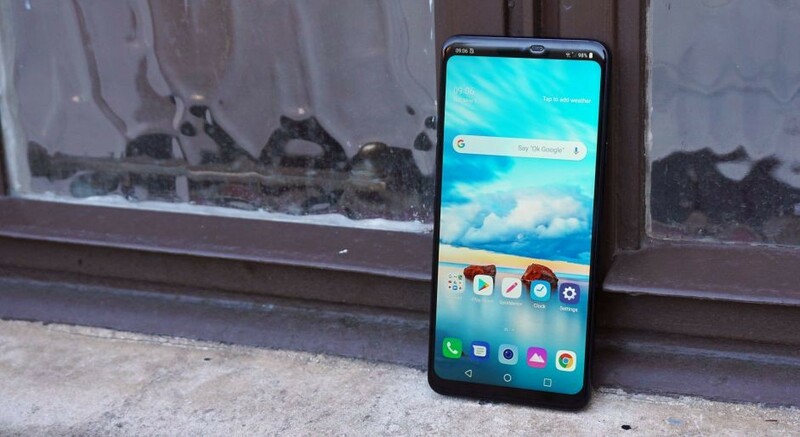 But in this case, it is worth mentioning, because why not, this is the LG G7 ThinQ we're talking about here baby. So like every other 2018 new flagship smart phone out there, the G7 comes with a black hole (notch) at the top of its display, which was implemented for nothing else, save for its new 8mp front facing camera, a couple of sensors, and the earpiece right there. 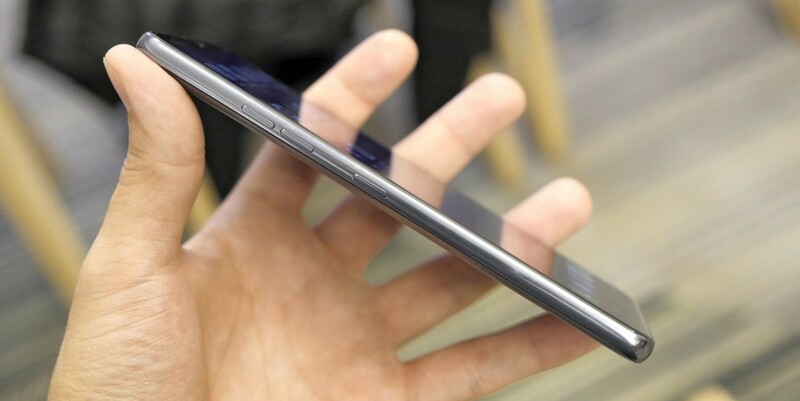 But that's notch all. 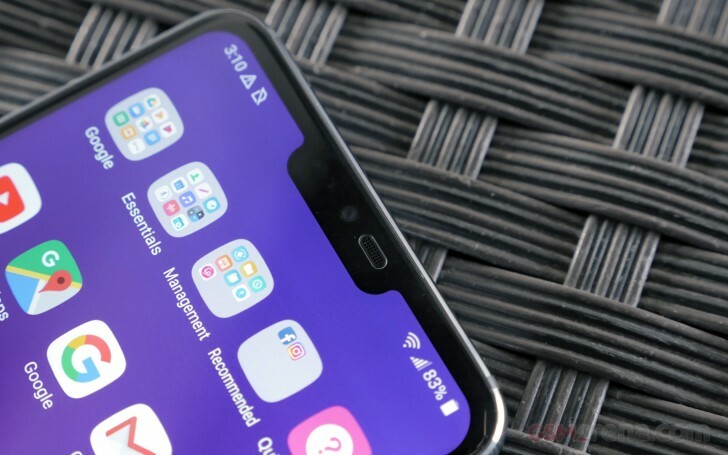 Like Huawei did with the P20(s), the G7 also has a couple of Notch tricks rolled up its sleeves, which it refers to it as the New Second Screen. First is that you can disable or hide the notch if you choose to, like the photo up there. 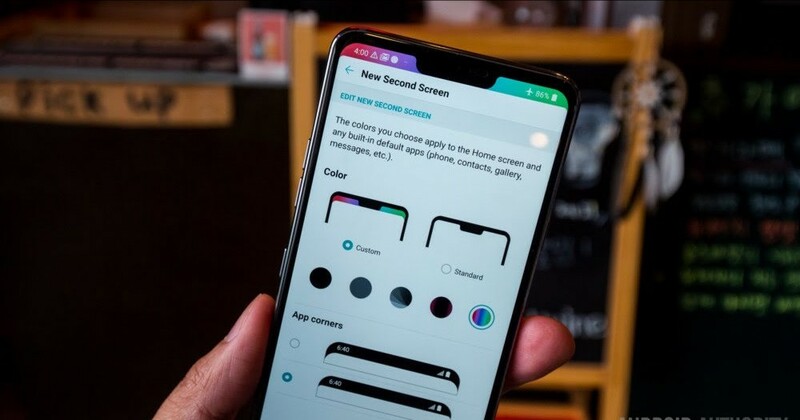 And second is that you can add different hues to the sides of the notch like this..
Of which to me, i think it really makes the device look awkward, ugly, and very unpleasant to the eyes, and of which i'm pretty sure not many people are gonna be showing it off on their new LG G7 ThinQ smart phone. Alright, we all know this is 2018, and because it is 2018, every flagship and even midrange and budget smart phone manufacturer out there, is trying really hard to improve on every single aspects of their phones. And one of these various aspects, is on displays. 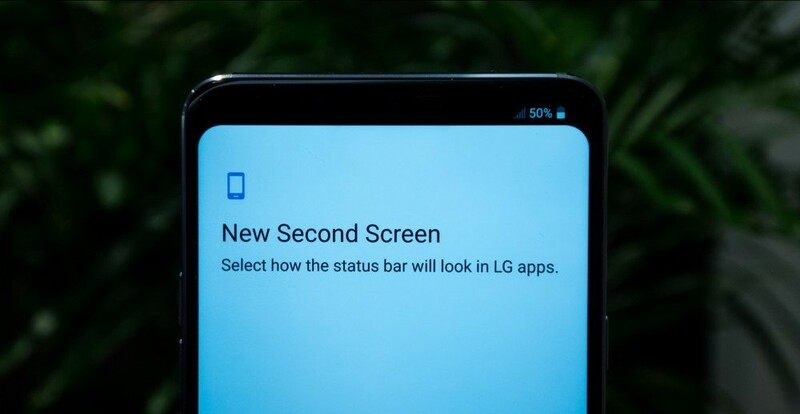 Now, in an era when everyone is shifting from using LCD displays on smart phones, to using OLEDs, LG once again decided to stick with the former. Not because LCDs are cheaper and easier to produce, but because LCDs can get really really bright.. Like extraordinarily bright.. Like this. So in order to perfectly utilize that advantage of LCDs over OLEDs, the G7 has this nifty new feature called "Super Bright Display", that bumps up the brightness of the display up to 1000nits, and for up to a period of 3mins. Reason is that while taking a walk on the streets on a sunny day, you got a text, wanna quickly check it out, but your device screen brightness could not keep up with that of the sun, just super bright it, and you're good to read your text comfortably, without having to cover your screen with your palm before you could see what is written on it. See? Good one from LG and the G7, and i think they deserve some accolades for this. Once again, this is 2018, when we've got to see quite a lot of AI stuffs going on in smart phones recently. AI powered voice assistants, AI powered cameras, AI this, and AI that. And LG doesn't want to be left out on this new craze for AI, with the LG G7 ThinQ. First of all, the G7 now has two new buttons on both sides, but lets talk about the one that has to do with the AI first, we will get back on the second one later. So on the left side of the device, and below the volume rockers, the G7 has a dedicated Bixby, sorry AI button. But this time, this AI isn't created, developed, or owned by LG, but instead, they decided to make use of the already well known Google Assistant. You see, i like LG for their simplicity on this AI aspect. Instead of going ahead to designing and developing their own AI powered voice assistant just like everyone else is doing, and which might end up not getting the kind or amount of applauds it is suppose to get like what Samsung is facing right now with the Bixby, they simply took what was working already, and generally accepted by everybody, even the so called apple fanboys, gave it a button, and business continues to boom as usual. So what does the button do? First is, press it once, and it launches Google Assistant just like it does when you hold down you home key, and then pressing it two times quickly will launch you to Google Lens, and then a long press and hold, will make the assistant listen to you for as long as you want, until you release the button. Something that is not commonly found on many smart phones nowadays. So that's for the first button, and then coming to the right side of the phone, for the first time after a very long time on LG phones, there is now a dedicated power On/Off button on the G7. Which makes it a very big and worthwhile change from how LG usually uses the fingerprint reader of their smart phones to also act as the power button, which makes the devices look awkward, and difficult to use most of the times. Okay, still on the AI matter, another aspect where LG really took the AI thing serious is on the Cameras, but its not necessarily something new, because why not, Huawei did it with the P20(s), Asus did it with the Zenfone 5, and some other smart phones out there are doing same as well. But the thing is, the cameras has this thing that can automatically detect and identify its subject, and decide what is the best settings or mode it will use to make that photo stand out. 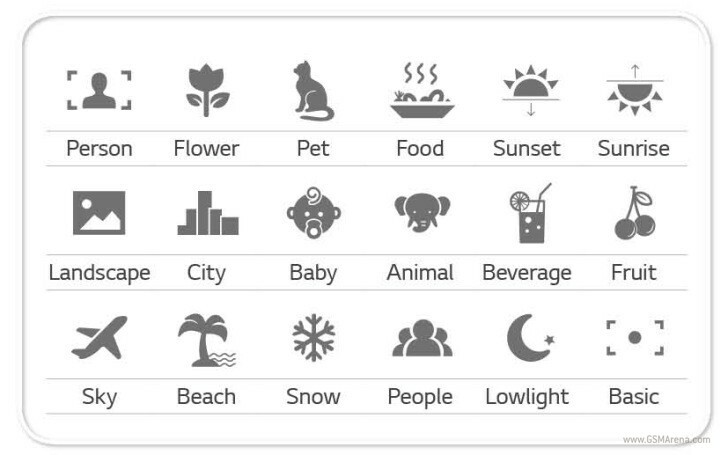 Point it to a plant, and it will tell you that is a plant, whether flower or tree, point to food, and it will tell you so, pets, animals, city, landscape, low light, bla bla and bla. And secondly, the super bright thing we talked about a few moments ago doesn't just end on the screen alone. It is also implemented on the cameras, and you know what that means right, super bright stunning low light photos. So other features of the camera include a portrait mode, which in this case is strictly powered and controlled by software. Why because, though the G7 has a dual 16mp cameras setup at the back, but non of those is a telephoto lens. But instead, LG took a different approach by using one camera as the main shooter, with an f1.6 aperture, while the second one is a super-wide angle lens that can get as far as 102°, and with an aperture size of f1.9. And for the first time after a very long time, LG is using an 8mp camera lens for its front facing selfie game, in which pictures appears to be top notch, and with deeper depth of view. So that is all for the cameras. And for those of you expecting to hear stuffs like a super-slow motion video recording feature, or variable apertures, well i'm sorry to disappoint you, but there's no such thing as those. Alright, it seems LG doesn't really want to join the band wagon to do what everyone else is doing. So in an era when every smart phone manufacturer out there is implementing stereo speakers into their phones, LG decided to go its own way by making use of a single speaker, but wait, before you start throwing stones at them, first see what they did with the single speaker. It has a feature called "Boombox", and what it does is that it uses the whole bottom area of the device to amplify audio on the device, up to the extent that it literally vibrates when held in the hand. And what this translates to is that, the phone automatically turns any surface it is placed on to a sound amplifier, which simply results to louder audios when compared to other flagship devices with stereo speakers. And in addition to that, they as well did something really cool with the earphones too. But first of all, we want to seize this moment to announce that we are really happy that LG once again decided not to go with the trend, so they did well to retain the iconic 3.5mm earphone jack. Hurray..
And to make the news even sweeter, the G7 utilises a dedicated Quad DAC system to do the heavy lifting in the sounds department, and to top all of that, it also has a DTS X3D sound enhancement for to take care of surround sound. And all this plenty grammar simply translates to a unique sounding and pleasing to the ear audio experience when using earphones.. Cool right. 1. For sure, it sure do comes with the flagship mobile phones processor for 2018. Which is non other but the iconic Qualcomm Snapdragon 845 Octa-core processor. 2. The device itself comes in two different variations. First is the base version with 4GBs of RAM and a 64GB of inbuilt storage, and second which is not yet available as of now, is the much higher 6GB RAM + 128GB of inbuilt storage version, both variants are memory expandable of up to 400GBs. 3. You get an IP68 water and dust resistant rated smart phone which means you are good to go for a swim with this thing, and not worry a dime. 4. A 3000mAh power battery is also included, of which personally, i think LG could have done more than this. At least a 3750mAh or even a 4000mAh power doesn't sound like a very bad idea to me. 5. 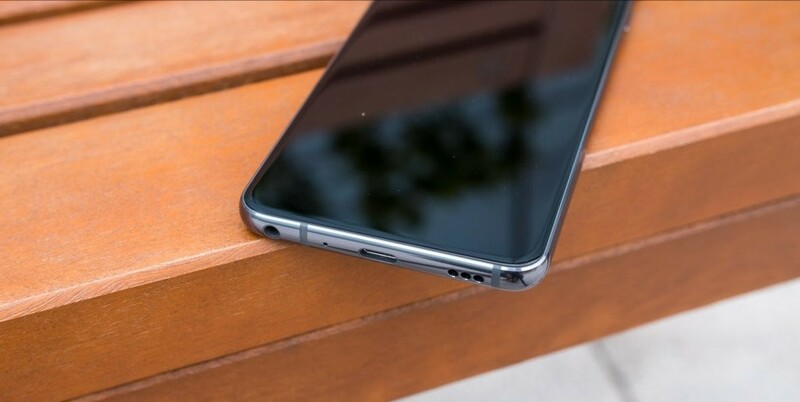 It also has a micro USB Type C charging port, comes equipped and ready too for wireless charging due to the glass body that is covered with the now iconic corning gorilla glass 5. And you know what that means, once it drops, say bye bye to it, cause you will pick it in pieces. So make sure to handle it with some extra care. 6. And i think i already mentioned this before, but in case you didn't see it, or maybe you've forgotten, the device comes in a 6.1 inch QHD+ (Quad HD Plus), with a 1440 × 3120 resolution, that is slightly higher than, but not noticeably different from the Galaxy S9's 1440 × 2960 resolution. And don't forget about the corning gorilla 5 ontop too. Pheeew... what a long post. So folks, that is pretty much everything you needed to know about the new LG G7 smart phone, brought to one place. In case we missed any shot, please don't wait to let us know in the comments section below, and as well don't fail to tell us what y'all think about this new flagship player and competitor from LG in 2018. Share this article if you loved it, the social share buttons are currently on the screen, remember it is one of the many ways you can show love to us, and to support us, please subscribe to our newsletter below, so that we will keep sending you more good stuffs like this directly into your inbox. So bye... and have a nice day ahead..